Thanks to Nickelodeon for providing me with product in exchange for sharing my honest thoughts. The pups are back and ready for adventure! 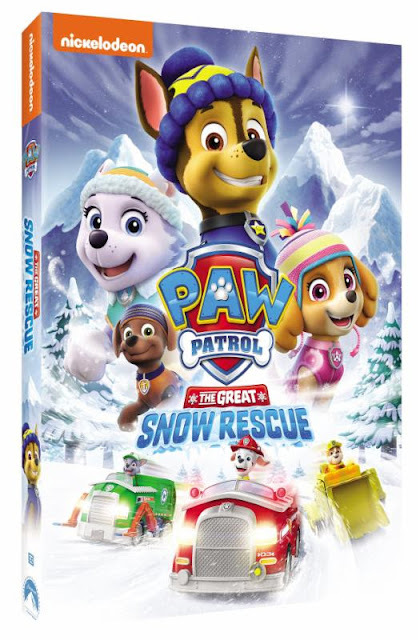 The PAW Patrol brave the snow in an all-new DVD collection, PAW Patrol: The Great Snow Rescue, featuring seven action-packed adventures. Fans can join the heroic pack of rescue pups as they work together to save the Adventure Bay Snow Show, help a sleepwalking bear, rescue penguins and more. 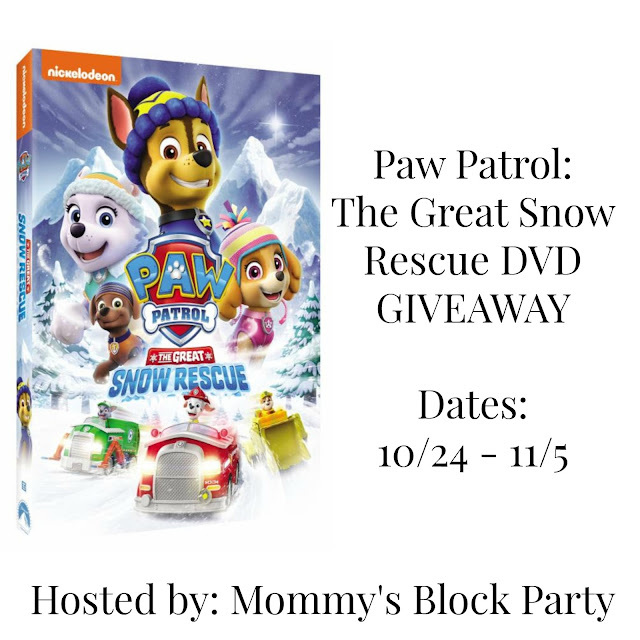 Produced by Nickelodeon Home Entertainment and distributed by Paramount Home Media Distribution, PAW Patrol: The Great Snow Rescue will be available on DVD October 24, for the suggested retail price of $10.99. To add some extra PAW-some fun to these adventures, Nickelodeon Home Entertainment is also releasing a special gift-with-purchase at participating Walmart stores, enabling fans to get a pup-tastic Chase plush zipper-pull for their backpack with each purchase of PAW Patrol: The Great Snow Rescue on DVD. 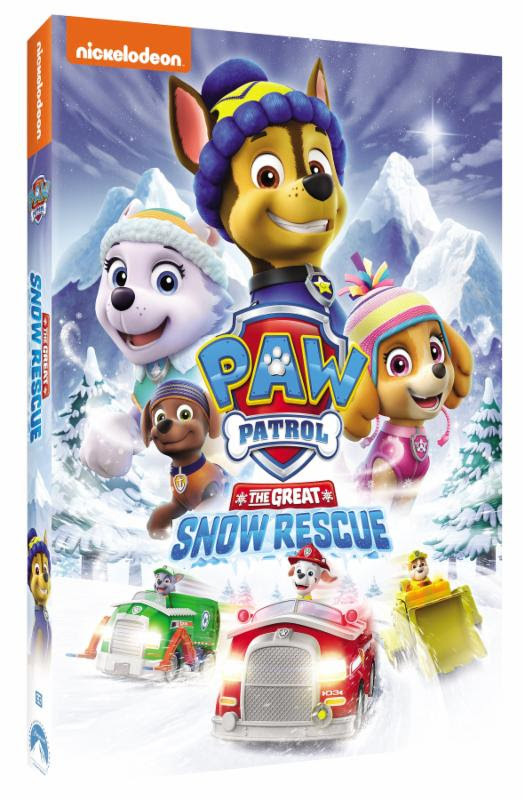 Additionally, toys and other cross-category products for PAW Patrol: The Great Snow Rescue will also be available exclusively at Walmart. We love these fun-loving and helpful pups! This new DVD is packed with lots of adventure, and snow-tastic stories! If you're going to be stuck inside once the weather turns wintry, you'll want to make sure you have this DVD on hand. 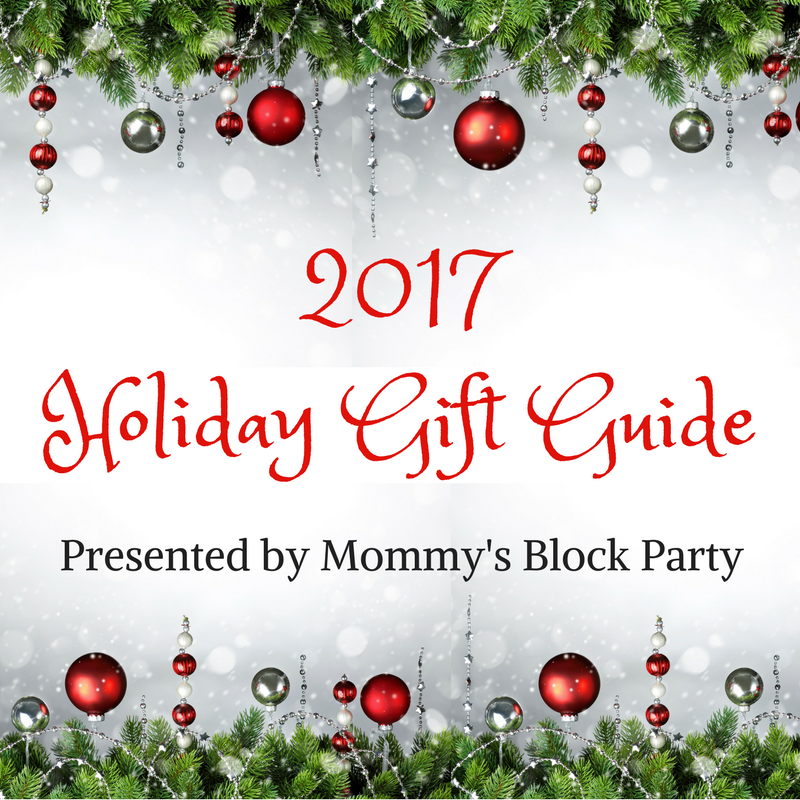 It'll warm your heart right up, and keep the kids busy, which will keep you sane! 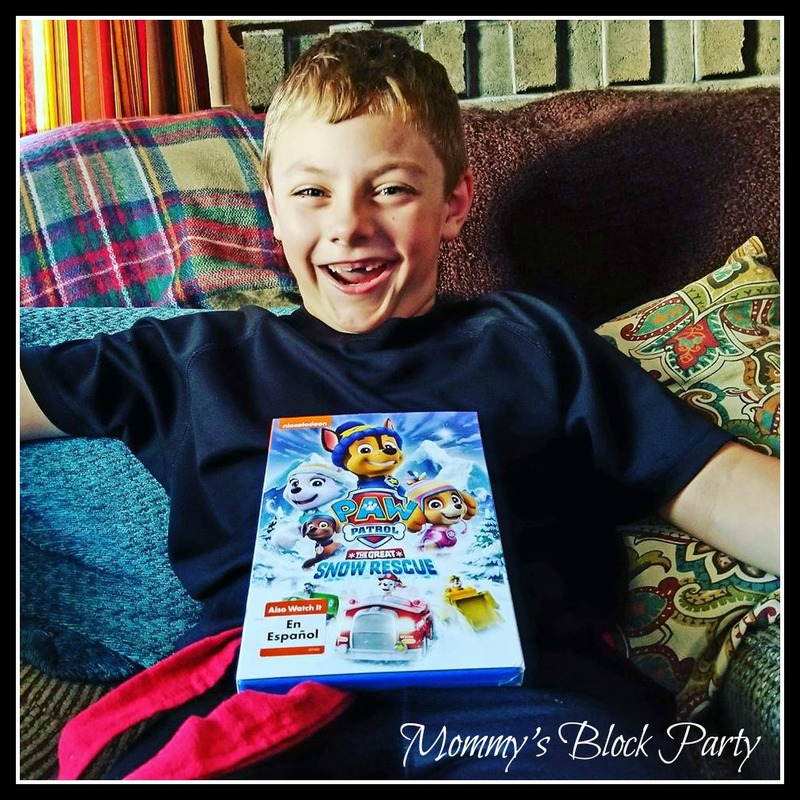 Look for Paw Patrol The Great Snow Rescue on DVD at Walmart! One lucky reader will win a copy of Paw Patrol: The Great Snow Rescue on DVD. Just use the RC entry form below to enter to win. Giveaway is open to US residents, 18+, no PO Boxes. This giveaway is in no way affiliated with Facebook, Twitter, or any other social media platform. Void where prohibited. MBP is not responsible for prize fulfillment. Please see our policies page for details. Special thanks to Nickelodeon for allowing me to review and share about this release and for providing a giveaway for our readers. 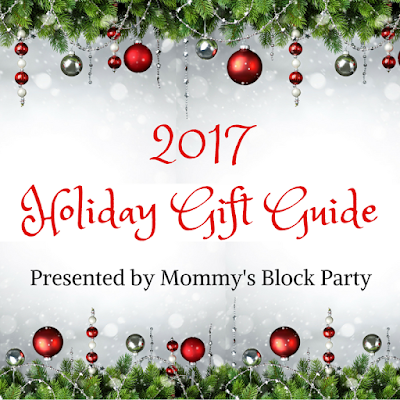 Look for this title in our 2017 Holiday Gift Guide. My daughter's favorite is Skye!